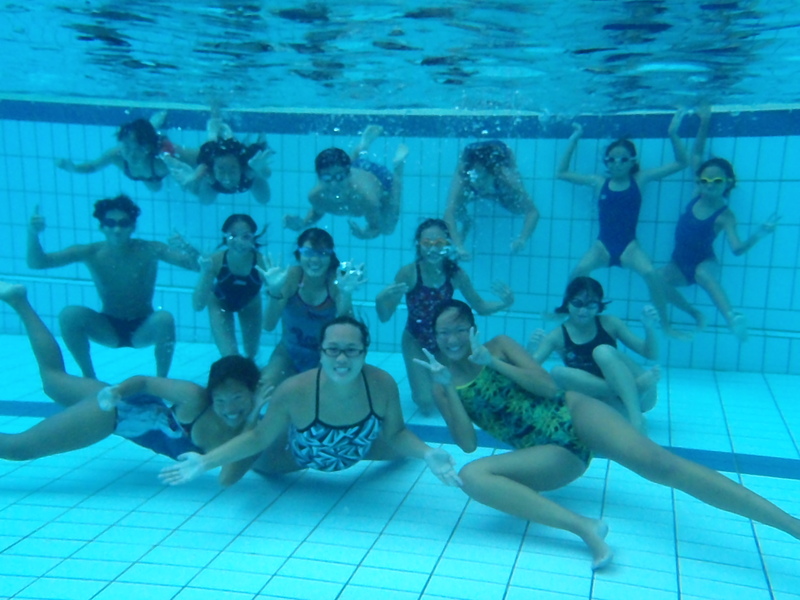 On the 23rd of April (Saturday), the national divers had the opportunity to attend a synchronised swimming workshop conducted by three of our current national synchronised swimmers. Synchronised swimming is a sport requiring overall body strength and agility; grace and beauty; split second timing; musical interpretation and dynamic performance. The divers were taught some basic synchronised swimming techniques and they mastered sufficient skills to put together a one minute routine by the end of the session. It was a fun-filled day, and the divers definitely enjoyed themselves! ~ by Singapore Diving on April 29, 2011. Our springboard divers Mark, Timothy and Ashlee, head off to Calgary, Canada for a training camp before competing in the FINA Diving Grand Prix in Calgary next week. Accompanying them are Head Coach Li Peng and Physio Pauline.